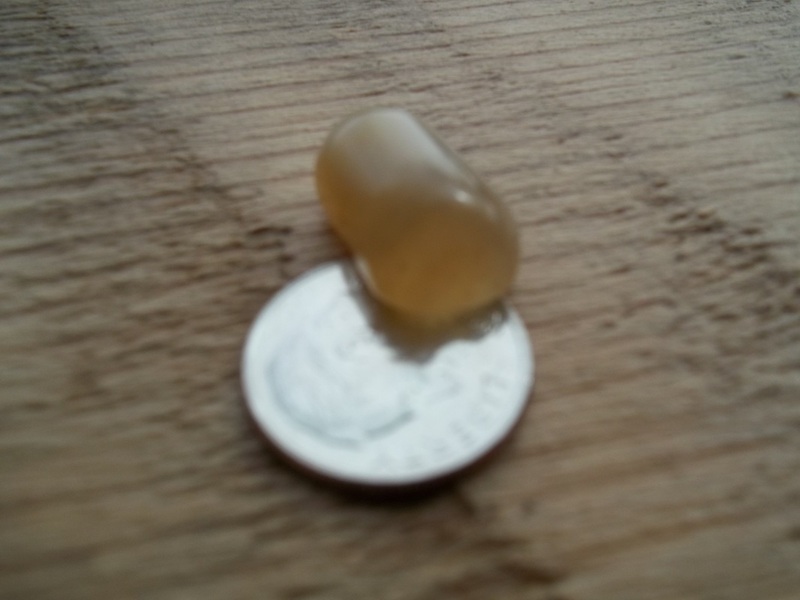 This small chunk of 'Honey' agate was found on the Poudre River by a friend of mine. She asked me what I could make out of it. 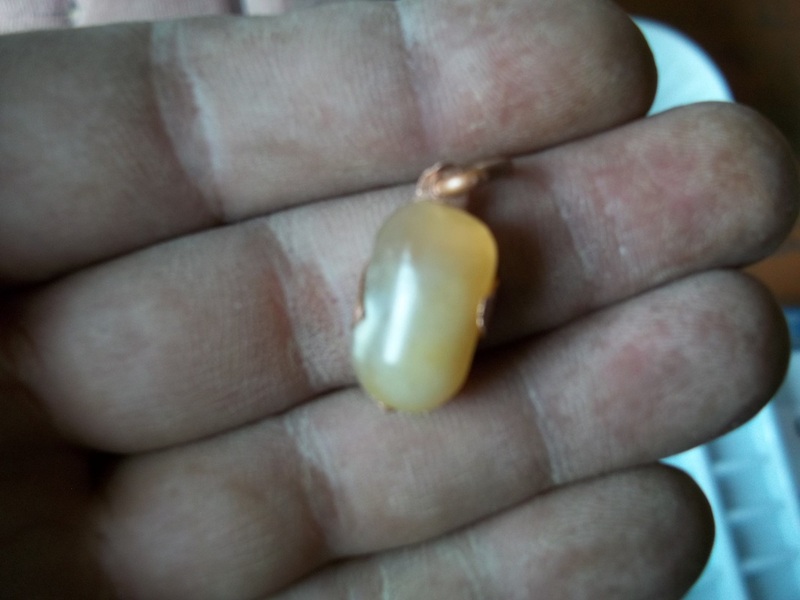 OK so there is not actually an agate called honey, but I think the chunk looks like honey so I made up the name.This page will show the process I used to make a Bobble or pendent using part of this piece of agate. 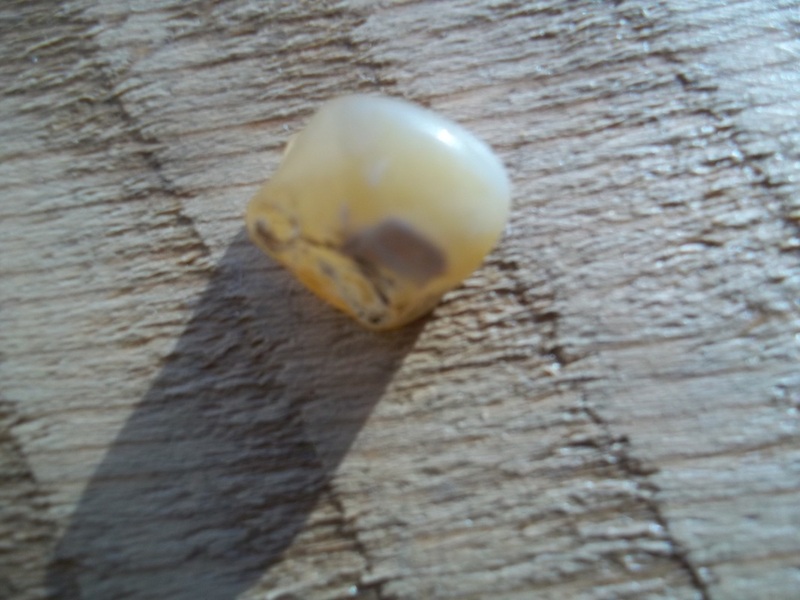 I started out by using my Diamond Demon cabochon machine to see if the rough piece would polish out nice. Because of it's small size I thought it would be easier on my finger nails to polish the surface before I cut it into a slab. 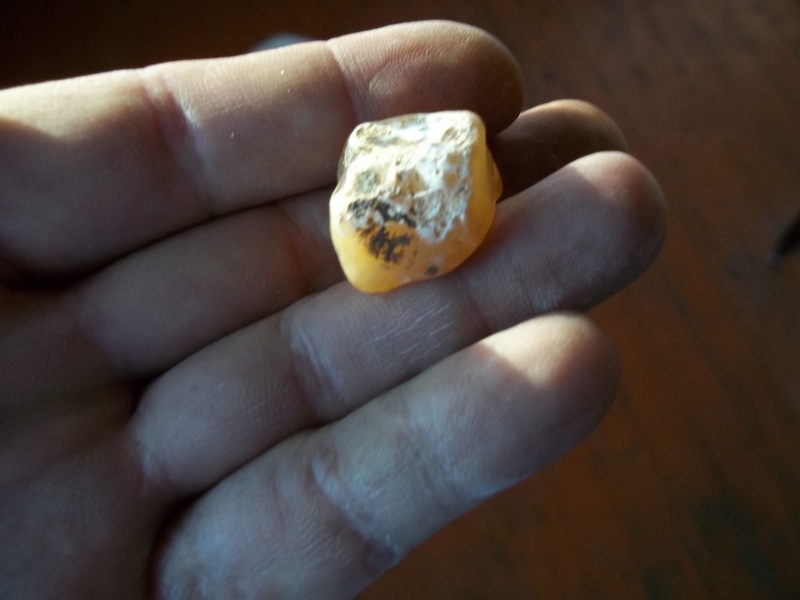 After roughing the cabochon with 100 grit diamond lap, then 1,500 grit diamond lap, and finishing with a 3,000 grit lap I decided that the piece would be worth finishing. I used the rock saw to slab out the first slab. I ended up with a nice cabochon, so my next step was to come up with a to show off the cabochon as a necklace. My thought was that wire wrapping would cover up too much of the cabochon with the wire. So I made a mount using a chunk of flat copper that I salvage from a piece of copper pipe that I flattened out. 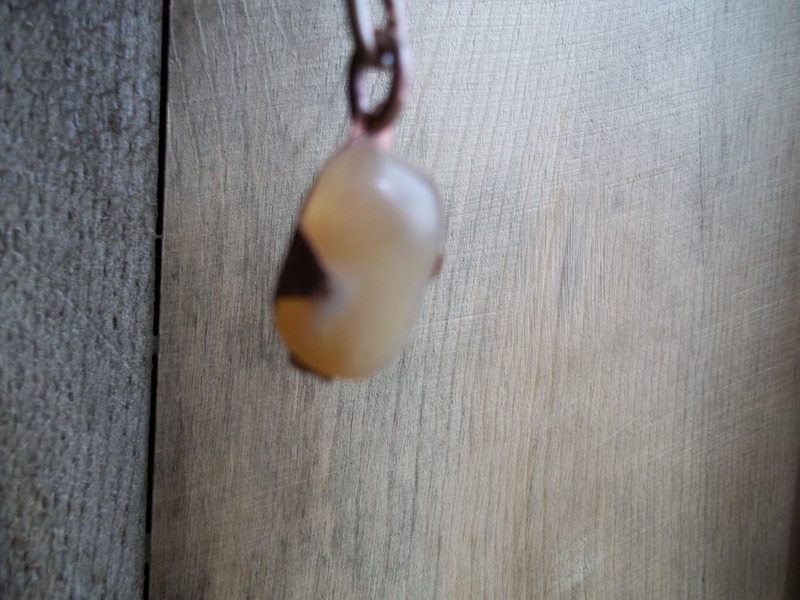 The copper backing- mount enhances the color of the agate, I'm pleased with how this necklace turned out.